ROCK the PARTY - The interactive family rock show that everyones' talking about! 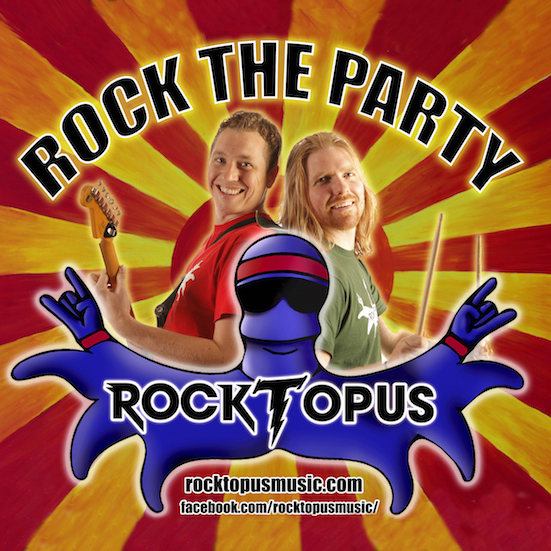 Rocktopus, the ultimate rock band for kids and families, are ready to rock out with YOU! Join the band, learn the moves, and get involved in this truly interactive experience for kids and adults alike. Expect favourites from their hugely popular debut album, brand new songs, epic party games, ocean craft, album signing and more! Rocktopus are a highly successful interactive rock band for kids -playing catchy, entertaining tunes, which will have everyone, aged 3 to 103, singing and dancing along. Selling out venues across the South West, these guys are set to be the next big thing. Don’t miss your chance to be a part of Rocktopus!